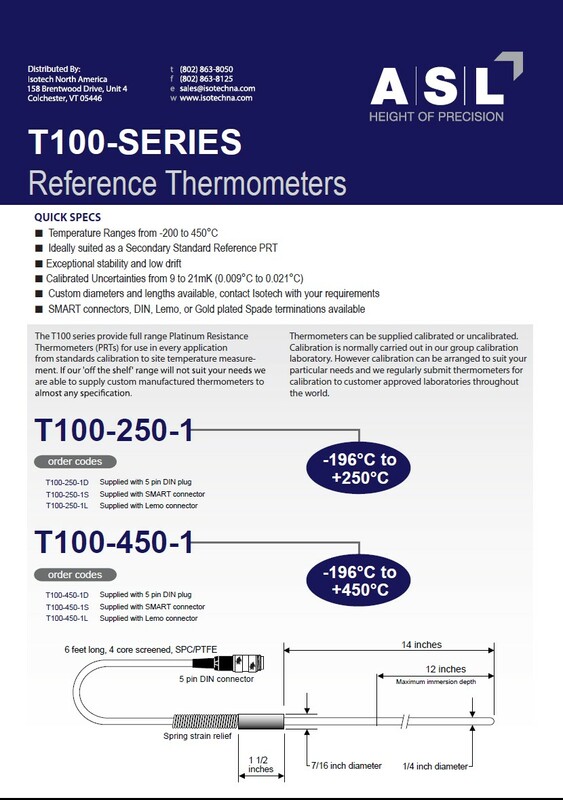 The T100 series provides full-range Platinum Resistance Thermometers (PRTs) for use in every application, from standards calibration to site temperature measurement. If our 'off the shelf' range will not suit your needs, we are able to supply custom-manufactured thermometers to almost any specification. Thermometers can be supplied calibrated or uncalibrated. Calibration is normally carried out in our USA calibration laboratory. However, calibration can be arranged to suit your particular needs, and we regularly submit thermometers for calibration to customer-approved laboratories throughout the world.